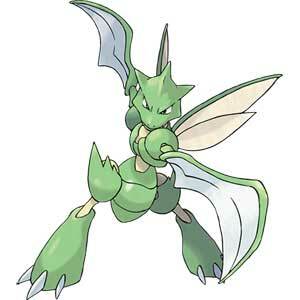 Looking part insect and part reptile, Scyther is a fierce looking Bug/Flying-Type Pokemon found in tall grassy areas. 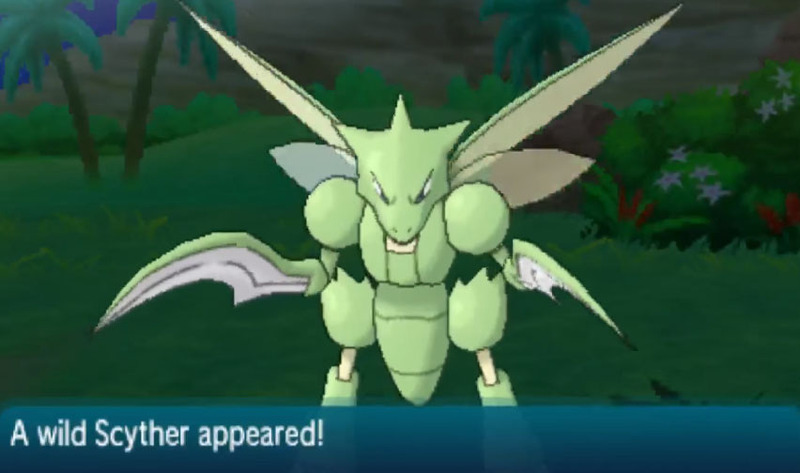 It can evolve into Scizor when traded holding a Metal Coat. 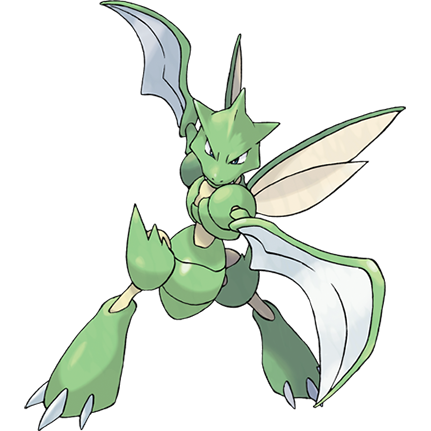 The name is obviously derived from its sharp scythe-like forearms. 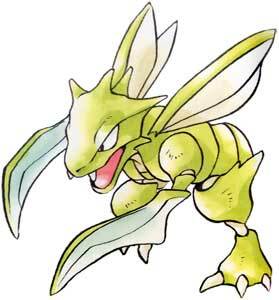 They only become sharper the more material they slice through. 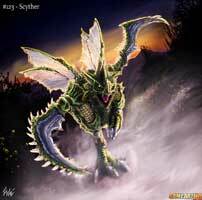 It is also capable of blending in with its surroundings. 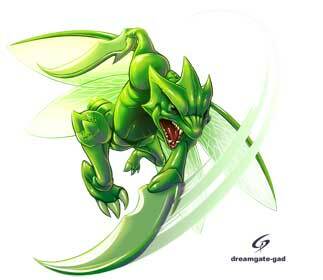 Although it has wings; it rarely is seen flying as it prefers being agile on its feet. They’re pretty frightening on their own. 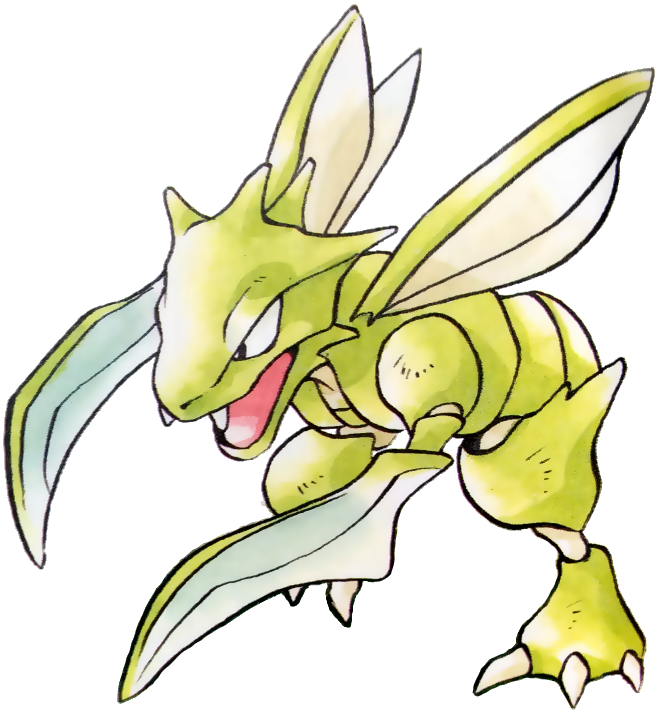 But in the anime even more so as they appear to travel in swarms. Imagine being surrounded by these vicious looking things! 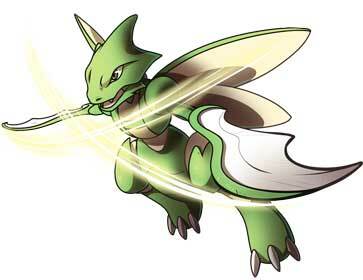 Scyther is a part of the Pokémon Gen I Tribute in 2016 by the Game-Art-HQ Community Art Collaboration and was drawn twice for it using his X-Scissor and Slash attacks!